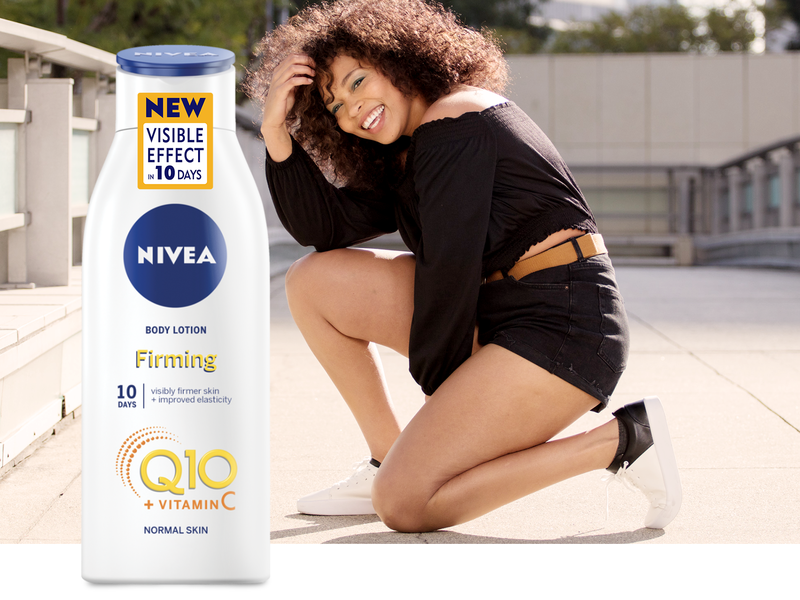 Well known Q10 Body Lotion and Q10 Rich Firming Body Lotion by NIVEA have been enriched with two powerful antioxidants, Q10 and Vitamin C. The improved formula visibly firms and improves skin elasticity in just 10 days. Why not skip the elevator and take the stairs? Come on, it’s a free workout! 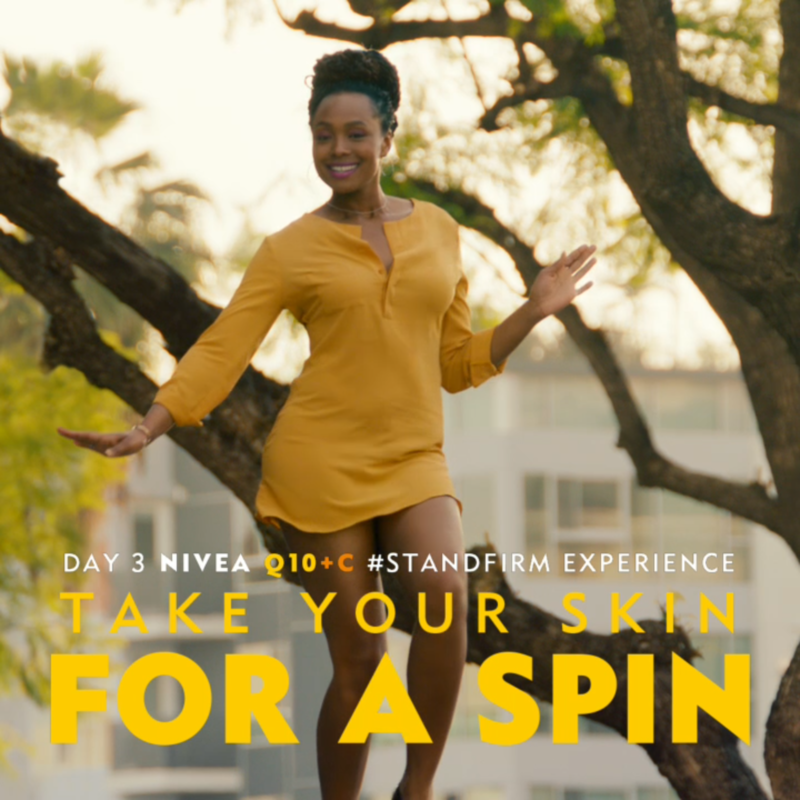 Show us how you've given your body an extra push with NIVEA Q10+C for firmer skin in just 10 days! Today is your day. Stand up straight, shoulders back and hold your head high! Face the day like you mean it. 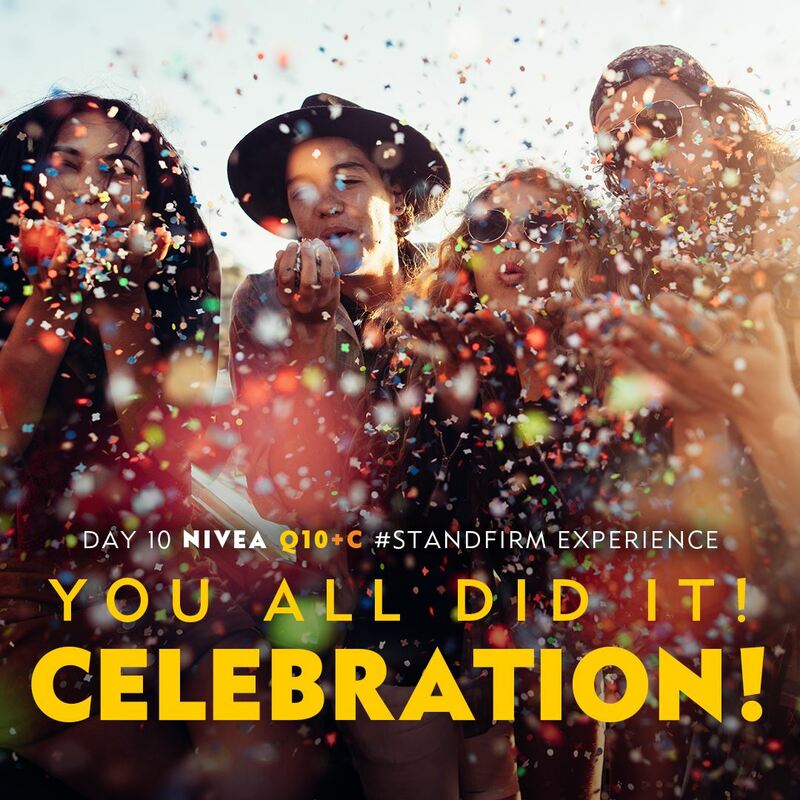 Let us know how you start the day with NIVEA Q10+C for firmer skin in just 10 days! Don't wait until Friday for a little celebration. Today, put on your favourite outfit and take your skin for a spin. You know it will make you feel great! Tell us how NIVEA Q10+C for firmer skin in just 10 days makes you feel great in your skin! Don't skip that workout you planned today. No-one ever regrets working out. Tell us what your favourite workout is and, remember to finish your final set with NIVEA Q10+C for firmer skin in just 10 days! Life is more fun with friends. Invite a girlfriend out for a lunch time walk, or run or whatever makes you happy! 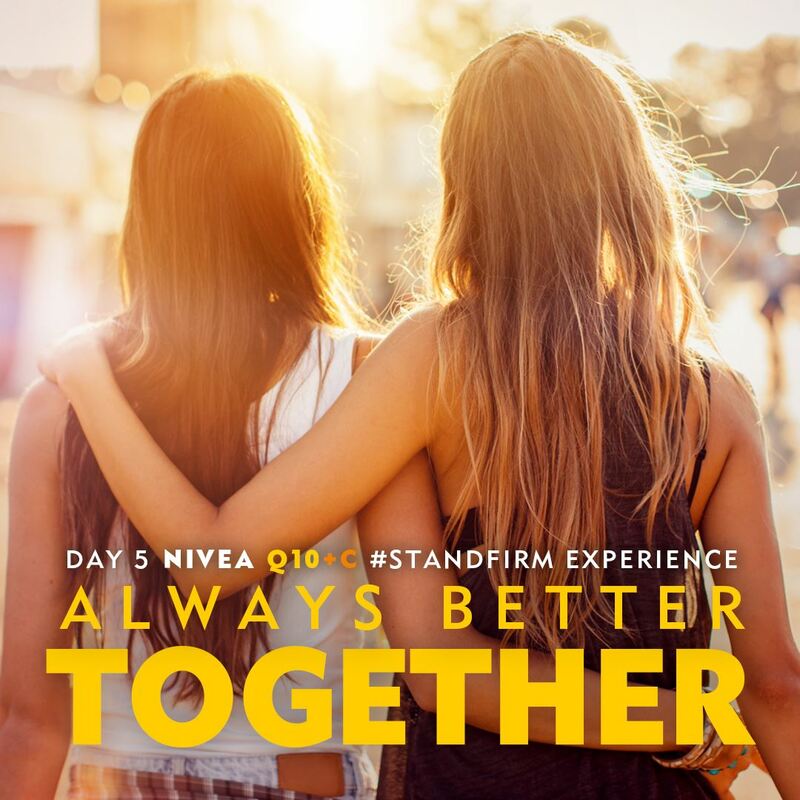 Tag a friend and share your NIVEA Q10+C experience with your bestie! Go the extra mile today and skip the ride. Take a walk, 20 minutes is all you need! What have you done to go the extra mile for your skin? Tonight is your night. 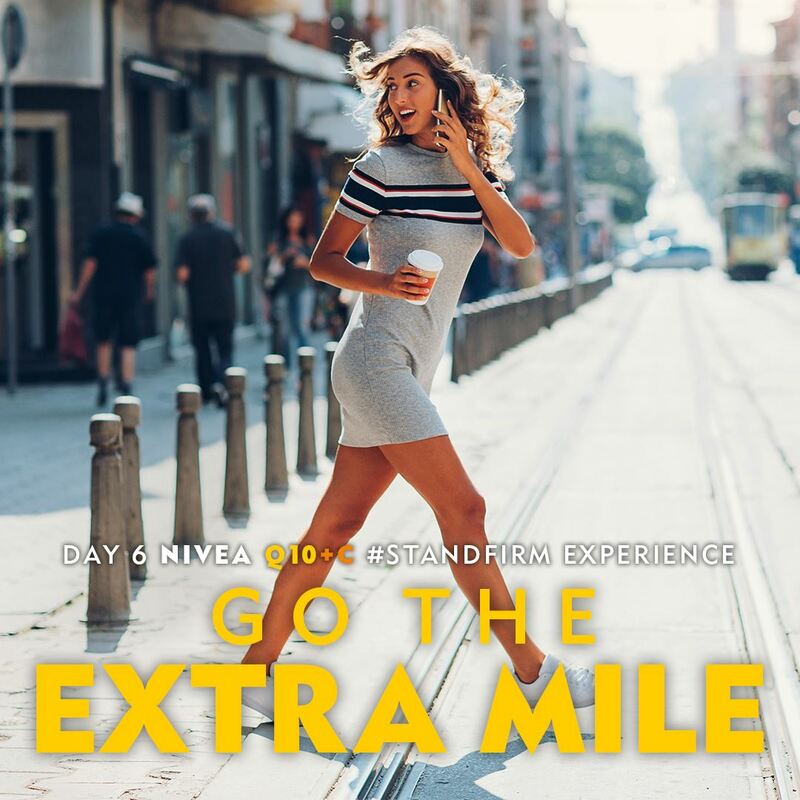 Take a long warm bath, go for a walk in nature or get a massage, let NIVEA Q10+C do the work today, for firmer skin in just 10 days. Tell us how you're spending your 'me time'. It’s amazing what a smile can do for your look and your impact on others. It is contagious. So, smile at 10 people today. Don't forget to get your skin to smile with NIVEA Q10+C. You all did it! 10 days of standing firm deserves celebration. Congratulations to everyone who made it through the 10 days, who shared their stories and experiences with us! 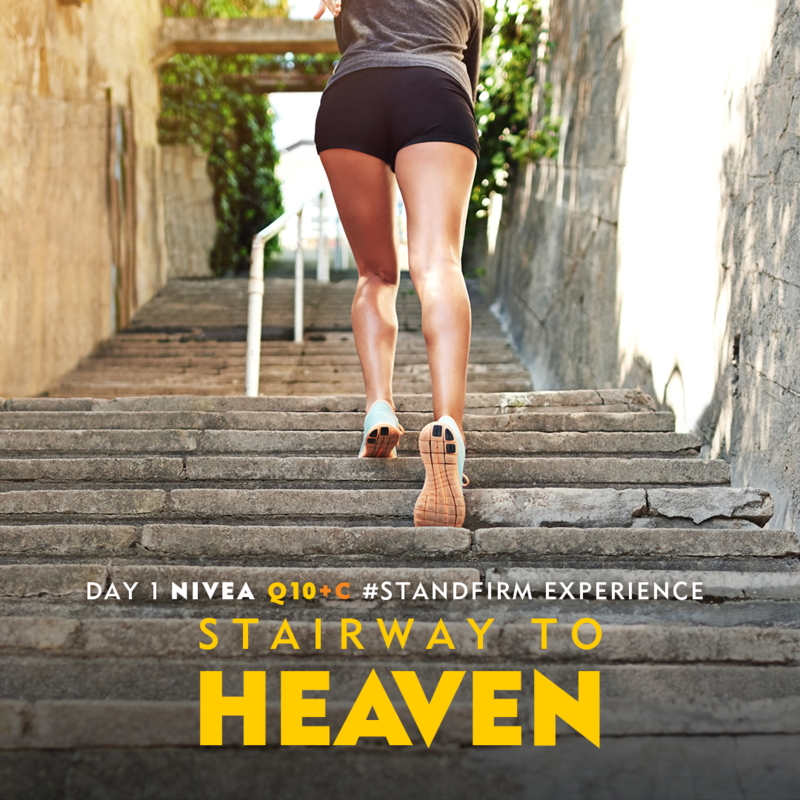 Keep it up with NIVEA Q10+C, stand firm in your body and in life! There's no time like the present. Today we ask you to do one thing that scares you, maybe it’s going for a 5km run, first gym session or dance class.